To celebrate Star War's Day "May the 4th be with you!" 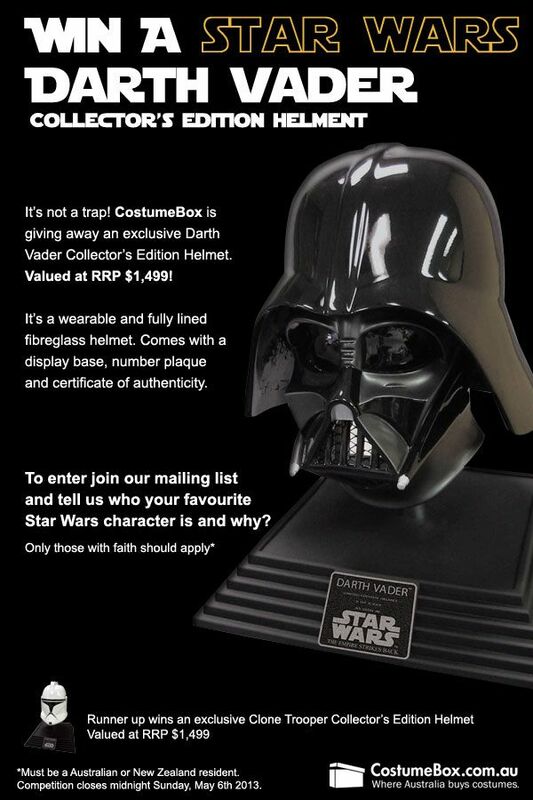 - CostumeBox.com.au is giving away a Darth Vader Collector's Edition Helmet and a Clone Trooper Collector's Edition Helmet, each valued at $1499. Click through to the CostumeBox Facebook Page to enter! Our search for a new in-house Graphic Designer at CostumeBox turned up a surprisingly huge talent pool for our growing online fancy dress business to choose from. Since moving into our new warehouse and office space in Sydney's Northern Beaches last year, the CostumeBox team has grown substantially to keep up with business demand. Having an in-house designer has become a necessity to providing our customers with the best online shopping experience possible. One of Alice's friends saw the above Tweet and passed it on to her knowing this job was made for her! A self-professed costume and pop culture fanatic, Alice arrived for her interview in a Dr. Who tardis dress: we knew we'd found the right person for the job! Alice has a degree in multimedia design from Macquarie University and TAFE, extensive experience in graphic design, content, social media, and print media, as well as a passion for our main product: fun! 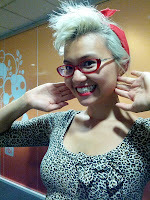 We look forward to Alice bringing her funky style to CostumeBox... Welcome aboard Alice!